Iogo has a new contest! You could win $100 a day for a year, plus any extra prizes! Grand Prize ($36,500) awarded in monthly installments. 30 secondary prizes of $100 each. 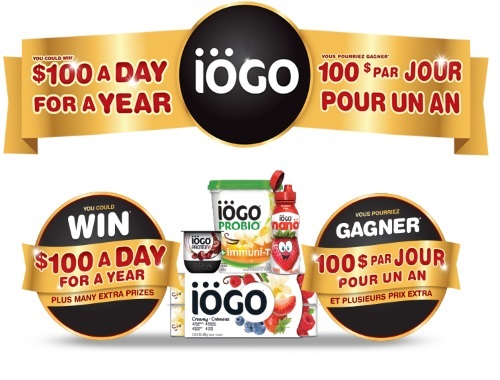 Purchase any Iogo product and upload a clear picture of your full receipt for each Iogo product you purchase, receive one ballot into the contest. Possible to enter without purchase.